Going back to school in September can be made a little less painful if you are teaching a fantastic topic. As the nights begin to draw in and Halloween looms do something spooky! My all time favourite children’s book is ‘The Graveyard Book’ by Neil Gaimen which lends itself beautiful to Autumn. Gaimen creates a hypnotic, enveloping world in the graveyard that is inhabited by a myriad of ghosts who become friends to orphaned Bod. The book is suitable for Years 5 and 6 in primary as the story begins with a gruesome murder, but other than that is mildly spooky at times. It really is a fabulous read that I can’t recommend highly enough. 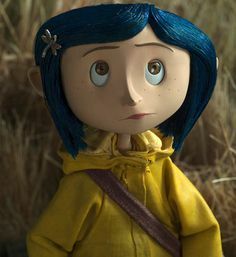 Alongside that I have also used Gaimen’s ‘Coraline’ which has a very creepy film version too. I used both versions of these, comparing the differences / similarities in the two and discussing which elements we preferred. There are some great character descriptions and atmospheric scene settings that are useful as model texts. The children particularly love this story and have enjoyed creating their own world beyond the door. Getting in the mood for something spooky always brings me back to the classic horror of ‘Dracula’ by Bram Stoker. I obviously would not use this in primary school, but I have used an extract of the captain’s log to model the building of tension in writing as the children try to guess what is on the ship as it steers perilously towards the cost of Whitby. This is also a brilliant excuse for a trip to the seaside (luckily Whitby isn’t far for us!) and a reading of the book ‘Room 13’ by Robert Swindells which really puts the fear of god into the children before a residential!!! I have mentioned The Literacy Shed website before, but they have some fantastic spooky short animations. Again a word of caution…know your children well before deciding to use any of the films. I used a really spooky film which is fantastic for the creation of tension called ‘Francis’ with some very mature Year 6 and they loved it! I WON’T BE GOING BACK TO QUETICO PARK ANYTIME SOON. NOT AFTER WHAT HAPPENED TO A GIRL NAMED FRANCIS BRANDYWINE. 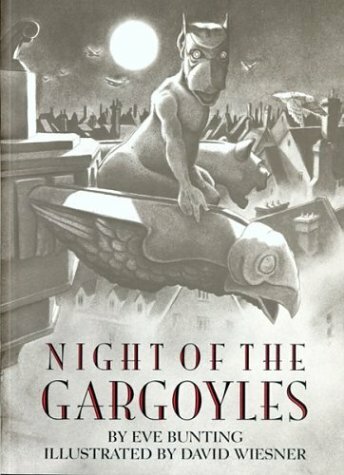 A short picture book which works really well in guided reading is ‘The Night of the Gargoyles’. It has beautiful, dark illustrations and magical, poetic descriptions that can be borrowed and played with. We always make clay gargoyles after reading this and watch a fabulous video of a sculptor known as ‘The Gargoyle Guy’, which you can find on Youtube. Below are some images and ideas I have used to teach a ‘Shadows’ topic. I have even included some poetry in the form of ‘The Highwayman’ as this is dark and haunting and suits the mood of the topic brilliantly.